If you’re looking for an easy way to earn money while working remotely, we want to tell you about an opportunity that we think you’ll love. A couple months ago, we heard about a program called VIPKID that allows English speakers to teach Chinese students through video chat. Since Ben was an English teacher in Korea and was looking for a job that he could easily do wherever we may be, this sounded like a perfect opportunity. And it has turned out to be an even better job than he expected. We want to share this program with you because we think it is such a great way for many people to earn money while working remotely. Ben even taught English classes from inside our campervan no matter where we are parked for the night! Is your interest piqued? We thought so; but we’re sure you have lots of questions. What is VIPKID? Will I qualify? How much money can I make? Well, it just so happens that you’re in the right place. We’re going to explain this program in detail, tell you how much money you can earn (hint: there are lots of bonuses! ), and give you tips for the application process. This is literally everything you need to know to get started as a VIPKID teacher. After reading this article, you’ll have all the tools you need to start earning money in just a few days! Ben loved teaching English in South Korea, so VIPKID sounded like a perfect fit! Obviously the main requirement to be an English teacher is to be fluent in English. Duh. But you do also need to have a Bachelor's degree, but it can be in anything. Teaching experience is helpful in the interview process but not required. As you can see, there aren't all that many requirements to apply to VIPKID. Do you need to have experience teaching English to apply to VIPKID? How much money can you earn as a VIPKID teacher? I'm sure this is the question you're wondering at this point... amiright?! Your base rate will vary, depending on your experience and your first interview. It will be between $7- $9 USD per 25-minute class. This means that you can make a base rate of $14 - $18 USD per hour. 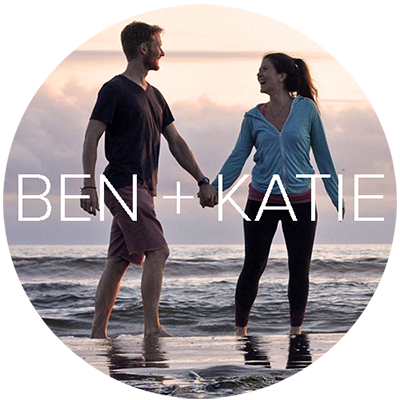 Example: Ben makes $8.50 per 25-minute class ($17 per hour) because he has prior English teaching experience as well as a TEFL certificate (Teaching English as a Foreign Language). But hold up! The money doesn’t stop right there. VIPKID is particularly awesome because they offer several extra bonus incentives, which allow you to earn even more money than your base salary. Note: These are the basic bonuses that are always offered by VIPKID. They sometimes have special incentives that are valid only for a limited period of time. We won't be covering those in this section, because they aren't valid all the time. 1. 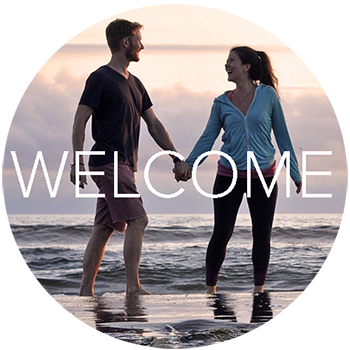 If you teach 30 or more classes per month (which breaks down to just 15 hours per month! ), you’ll earn $1 USD more per class (aka your hourly base rate will increase by $2!). 2. If you teach more than 45 lessons per month (22.5 hours/month), you’ll earn an additional 50 cents for each class. So if you work 22.5 hours or more each month (just over 5.5 hours each week), your hourly rate will increase by $3 USD. So even if you start at the lowest earning tier, making $14 USD per hour, this will bump you to a rate of $17 USD per hour. Not bad! 3. Participation Bonus: If you show up for all your classes booked, you will get an additional $1 per class. 4. Finished class Bonus: If you successfully complete all your classes without technical difficulties, you will get an additional $1 per class. 5. Short notice classes: Typically, you’ll open up your schedule 2-4 weeks in advance so that students have ample opportunity to book classes with you. This allows you to basically ensure you will get the hours you want. However, if a time slot is booked less than 24 hours in advance (which you can control if you want it to be or not), you’ll earn an additional $2 USD per class ($4 extra per hour). 6. Trial students: Most of the time you will teach students who are already enrolled in VIPKID. But quite often, you’ll actually have students who are doing a trial class. If they end up signing up for VIPKID after your class, you will earn a $5 USD bonus. Cha-ching! 7. Referral bonus: If you're a VIPKID teacher in good standing and you refer a friend who applies and passes their interview, and starts teaching, you are eligible for a bonus. After your friend teaches their first class, you will earn a $50 USD bonus. A note on referral bonuses: If you feel like you’ve gotten a lot of information from this article and feel so inclined, we’d really appreciate if you apply through our referral link here, or if you enter our code on your application: BENJA0009 . Our website isn’t affiliated in any way with VIPKID – we're simply sharing this information because we think you’ll find it useful and we think it's a really great program. Referral bonuses truly do help us continue to put out information-packed articles. Thank you in advance! What is an average VIPKID class like? So what's it actually like to teach English via video chat? We'll break it down in detail so there are no surprises. You’ll sign on to your VIPKID profile, and you will “enter the classroom”. When your assigned student comes online, they will enter the classroom too, and that is when the chat begins. The student will see your face on video chat on one side of their screen, and they’ll see the lesson slides on the other half. There is a chat box you can use, and you can click to draw lines and circle things. The program itself is pretty sweet! You’ll start the lesson by greeting the student – asking how they are, what their name is – and you’ll introduce yourself and begin with a warm up. Each lesson has a theme – like “land animals” or “days of the week”. Honestly, some lessons are better than others, and after teaching with VIPKID for a while, you’ll teach some of the same lessons over and over again and get more comfortable with them. Each slide is very self-explanatory. If you are confused about what to do, there are “teacher directions” at the bottom of each slide. There are typically 25-28 slides per lesson, so you will try to do one slide per minute. There is a timer on the screen to help you pace yourself. It’s okay to go a little bit over the 25-minute mark, but you just need to make sure you are on time to your next lesson (if you have one). After each lesson, you will write written feedback about the student. You’ll write a few sentences to the parent that explains how their child did in the class. This message will be translated for the parents to read. You’ll also write some notes to future teachers about each specific student. For instance, if they need a little more encouragement to speak or if they are very high-level and can use more challenging questions. These comments are helpful to read over right before your lesson to get an idea of how the student you’ll be teaching learns best. Note: You may also receive feedback from parents. It’s not all that common, but sometimes they may even be sitting next to their child during a lesson (which can feel a little awkward at first). Positive feedback boosts your rankings and your chances at getting more lessons. Does VIPKID sound like something that’s up your alley? We thought it might! Now we’ll go over the application process, answer some FAQs and give you tips for getting started! The application process is incredibly simple! Become a Full-Fledged VIPKID Teacher!! What is the interview process for VIPKID like? Well, it’s a bit more in depth than the actual application. In fact, there are 3 separate interviews. But don’t stress – they are pretty low-key, and we’ve got lots of tips to help you feel confident! The first 10 minutes of the interview are formalities, and you’ll be asked about your experience and they’ll talk about the program. They will make sure you are fluent in English and you have a solid internet connection. During the last 5 minutes, your interviewer will give you feedback on how your lesson went. They will tell you what you did well and what you should improve on for your next interview. In total, it takes 30 minutes, and is relatively low-stress. Be truthful and honest about your experience. During the lesson portion, be energetic, happy and positive. They are looking for teachers with high energy and positive reinforcement. Encourage the “student” when they do something well. Prepare for the interview by looking at the slides. You don’t need to stress out too much, but you won’t want to go into the interview blind. You will be partnered with a veteran VIPKID teacher. You’ll pretty much go right into the lesson. Again, the interviewer (in this case, another teacher), will pretend to be a 5 year old with minimal English. You will teach a 20-minute lesson (different from your last interview). Halfway through the lesson, you will take a break and the interviewer will give you feedback. This takes approximately 5 minutes, and when you’re finished, the lesson will resume, and you will use their feedback to improve the rest of your lesson. During the last 5 minutes, the interviewer will give you final feedback and advice for your second Mock Class. Again, be energetic and positive! If you don’t already have a prop, they will suggest it. It’s not required at this point, but that will be a point of feedback. They suggest puppets, flashcards, letters and whiteboards. Ben feels most comfortable and natural using a whiteboard during his lessons, but it’s definitely a personal preference. During the final 5 minutes, they will go over the next steps with you (explained below). Now you’re a VIPKID teacher! Congrats! After you have completed all the steps above, you will have access to your profile on VIPKID, and you can open up your schedule and start teaching lessons. You’re all set to start making money remotely (and teach English to some ridiculously cute kiddos!). Whoooohooo! Ask Ben all your questions about VIPKid, and he’ll give you his honest answers. 1. Can I be a VIPKID teacher if I already have a full-time job? YES! Since there is no minimum amount of hours you must work each week, this can be a great job for anyone with a busy schedule. Plus, it allows you to earn a little extra money on the side. Many VIPKID teachers do this in addition to their regular jobs. It actually works well if you live in the US, since most of your classes will be early in the morning, and you could easily fit some in before heading out to work! 2. Do you need to prepare the lessons in advance? Nope! I spent a bit of time preparing for my first few lessons just to feel more comfortable with the process, but it is totally unnecessary and after a few times, I stopped. Now, I only sign on when I have a class, and when it’s over and I’ve submitted my feedback, I am done! 3. How old are the students? What is their English level like? The students are all elementary age. The youngest student I’ve taught so far was 5 years old and the oldest was 12. Their English levels vary but there haven’t been any students who I can’t communicate with. I think they try to only sign students up when they know basic commands and understand sentence structure. 4. Will I have the same students each class? No. In fact, your students can change often. I have had a few repeat students, but most of the time I have a new student for each class. Honestly, I would like to see more repeat students, but since I often schedule short term classes based on the Internet connection of where we are staying, my students change up a lot. I think if you have a more regular schedule, you’ll see the same students. This can be really rewarding to watch them grow and build a rapport. 5. What are the teaching hours like? VIPKID caters to students in Beijing, so all classes are created around Beijing time. Students will do VIPKID classes in the evening, after their regular school and on the weekends. Your timing is going to depend on what time zone you’re in, but if you live in the US, most class slots will be early in the morning. For me, this works out great, because then I have the rest of the day to travel and do other freelance work. Some people do this before going to their regular 9-5, and others teach on VIPKid as their sole source of income. 6. Can I set my own hours? Absolutely! That’s the beauty of being a VIPKID teacher – your schedule is entirely up to you. They used to require a minimum of 15 classes per week, but requirement was recently lifted, so you can work as much or little as you’d like within the open time slots. You can open up all hours you’re available as much as one month in advance. Or, if you suddenly have a free hour and want to teach, you can open it up last minute (though, it might not get filled if you’re cutting it close to the start time). 7. Will I get enough hours? I opened up all my time slots, and I’m wondering if they will get booked. In my experience, when I open up slots at least 2 weeks in advance they always get booked. But I usually don’t open my schedule up that far in advance. While living in a campervan, I decide the night before if the Internet is strong enough for me to open up my schedule the next morning. I usually open them up by 5 or 6 p.m. my time and when I wake up at 5:30 a.m. they are almost always booked. So even last minute bookings tend to fill up – it’s like magic! 8. Can I cancel a class? What happens if you miss a class? Things come up, so it’s good to know that you an cancel classes if you need to. You are allowed to cancel up to 6 classes within your 6-month contract. It’s pretty simple to figure out how to cancel a class that has been booked from your profile. It's best to cancel as far in advance as possible. If you cancel within 24 hours, you will be deducted $2. If you cancel within 2 hours of your class, you will be deducted $10. 9. What are your tips for a beginning teacher? I’m so excited you are thinking about becoming a teacher – I don’t think you’ll regret it. Even if you don’t have prior teaching experience, don’t worry too much. You’ll learn a lot along the way. Before becoming an English teacher in Korea, I was an engineer! So if I can do it, so can you! Be energetic and positive because your emotions will rub off on your students. A boring teacher equals a bored student (and possibly negative feedback from parents). Plus, you’ll just have more fun with your job if you keep things light and fun! Use total physical response (TPR) methods. What I mean by this is simply: talk with your hands! When you want them to repeat, put your hand to your ear, and when you want them to draw a circle on the slide make a circular motion with your finger. Give positive encouragement. Speaking in another language can be really nerve-wracking for some students, but if you applaud even their small victories, they’ll start to feel more comfortable and open up. Use small words, especially with lower level students. For instance, instead of saying, “Can I hear you say apple?” simply say “apple” and put your hand to your ear, signaling them to respond. Challenge higher-level students. If a student is flying through the slides and knows all the vocabulary, slow down. Ask them open-ended questions that require them to answer in a creative way and with more than one word. Find a “reward system” you like and stick with it. As a VIPKID teacher, you will be asked to use a reward system throughout your class so students know when they are doing a good job. There are different examples on the VIPKID website. The one I like to use is I draw a smiley face on my white board, and each time they do well, I add one tooth. Be sure to briefly explain your reward system at the beginning of each class, and be consistent with it throughout the lesson. Use a prop that suits you. VIPKID encourages teacher to use props to better interact with students. It’s a great idea and can make your class much better, but be sure to choose a prop (or props) that you feel comfortable using. For instance, VIPKID likes to encourage puppets, but I don’t love the idea of using one myself. I much prefer a whiteboard and feel like it is more natural in my lessons. Be authentic to your teaching style. Well, it looks like you are ready to be a teacher! Congratulations! We really think you’ll love VIPKID! Do you still have more questions about VIPKID that weren’t answered in this article? We want to help! Fill out the form below with your detailed question and Ben will personally write back to you and do his best to give you the info you’re looking for. Thanks for your question. Ben will get back to you as soon as he can! Last but not least, we’d really appreciate if you use the link below to apply for VIPKID. Full disclosure: we get a little bonus for referring you, which means we’re able to keep making super informative articles that you can continue to use on your travels. You make money; we make money. Win win. If you want to learn about other ways you can support our website (that won’t cost you a penny!) head to this page where we explain. We will LOVE you for it! Do you want to know more about teaching English overseas? We have everything you need to know about moving to South Korea to work as an English teacher. We’ll even let you in on the secrets that helped us save $22,000 USD EACH during one year of teaching English in Korea. 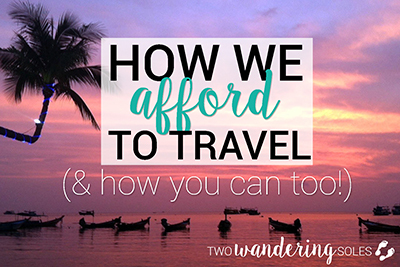 Do you want to know how we afford to travel long term? 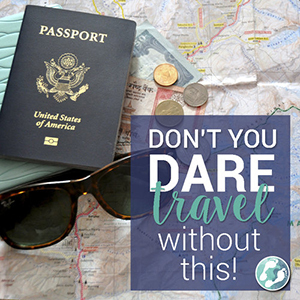 VIPKID is just one of the ways we fund our travels. See all our other money-saving tips and ways we earn money on the road.